The incredible Billie Piper ('Penny Dreadful', 'Great Britain') returns in her award-winning role, joined by acclaimed Australian actor Brendan Cowell. A young woman is driven to the unthinkable by her desperate desire to have a child in Australian director Simon Stone’s radical production of Lorca’s achingly powerful masterpiece. The 'National Theatre Live: Yerma' competition has now closed. Winners will be announced shortly. Competition opens at 5pm AEST on Sunday 17th September 2017 and closes at 11:59pm AEST on Sunday 24th September 2017. Five winners will be chosen at random on Monday 25th September 2017. To successfully win, entrants must fulfil the above entry conditions before the time the competition closes. Current members/followers are eligible to enter the competition. Only one entry per person. Only one winner per household. To be a valid winner, the entrant must not have won a prize from SWITCH within the last 28 days. Each winner will receive one double pass to 'National Theatre Live: Yerma'. By entering, you agree to receive occasional emails from SWITCH in the future. If you decide to unsubscribe from these updates, any further entries will not be applicable. Only Australian residents are eligible to enter. 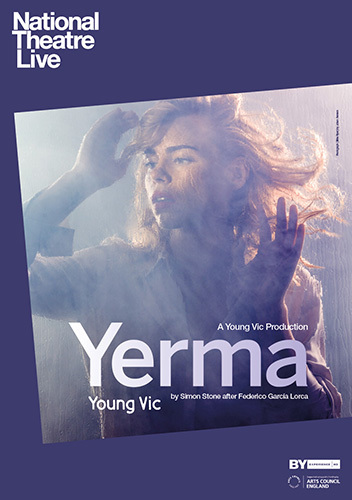 'National Theatre Live: Yerma' is in cinemas from Wednesday the 4th October 2017 through Sharmill Films.